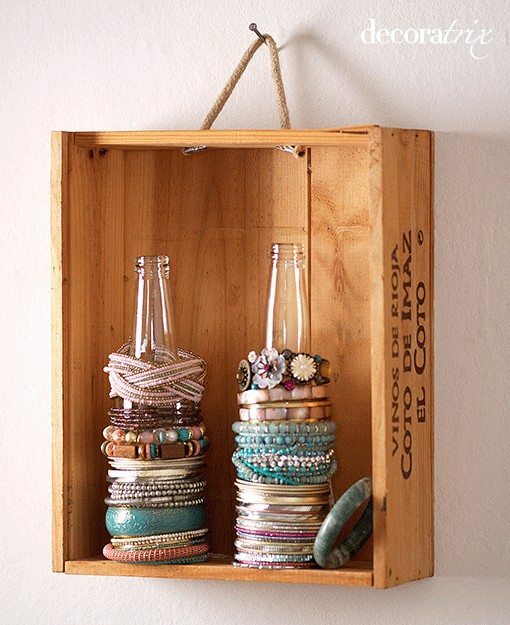 I couldn’t find the original website for this idea, but I thought it was a cute idea to keep bracelets together. I saw this on Pinterest and it looks like it would be relatively simple to make. The drag about the way to store bracelets like this is that you have to take all the bracelets off in order to get ones from the bottom, but it’s not so bad for a cute jewelry organizer!